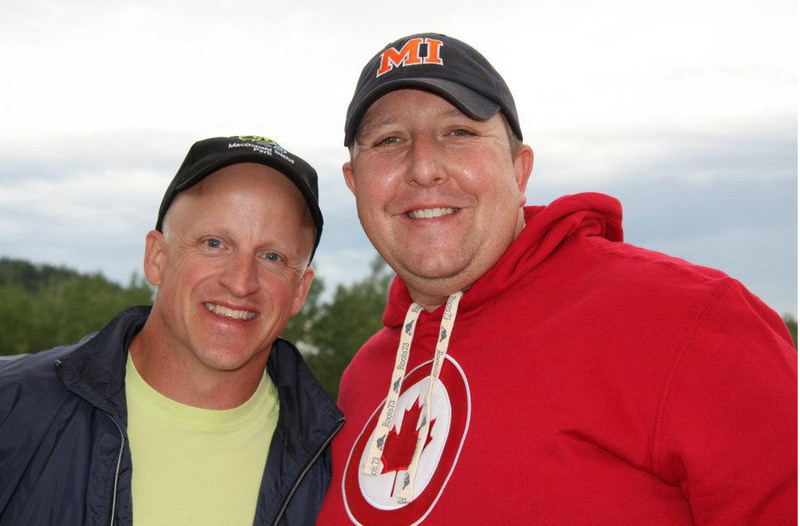 We are about to reach the end of an era in Fort McMurray as Tim Reid packs up his office filled with memories and momentos of big concerts, outdoor hockey games, torch relays, and myriad accomplishments during his tenancy at MacDonald Island. His last official day as CEO of the RRC (Regional Recreation Corporation) is tomorrow, though he will be a familiar face going forward as he stays on as Chair of the Northern Kick-Off. On Monday, he takes his life force to Northlands in Edmonton and begins to weave his magic there. Does anyone remember MacDonald Island BTR (Before Tim Reid)? I know that many longer-timers shudder when we recall the challenges in getting that redevelopment project off the ground and completed. Tensions, anxieties, and cost overruns were high, and there was nothing more controversial going on in the region than what was taking place on the Island. Tim came in on the tail end of construction, shepherded the opening of the Suncor Community Leisure Centre, and with the support of an engaged and motivated Board of Directors, built the Mi team and the culture of excellence and achievement that will hopefully remain long after he travels down Highway 63 to the Capital City. He was integral in the development of Shell Place and the formation of the RRC. He told his story - and ours - better than anyone. My perspective of Tim is from numerous vantage points, as a colleague, former regional councillor, collaborator, committee member, fellow TEDx presenter, and friend. From all those angles, I marvelled at the culture he developed, the friendships he forged, and the dreams he dreamed. 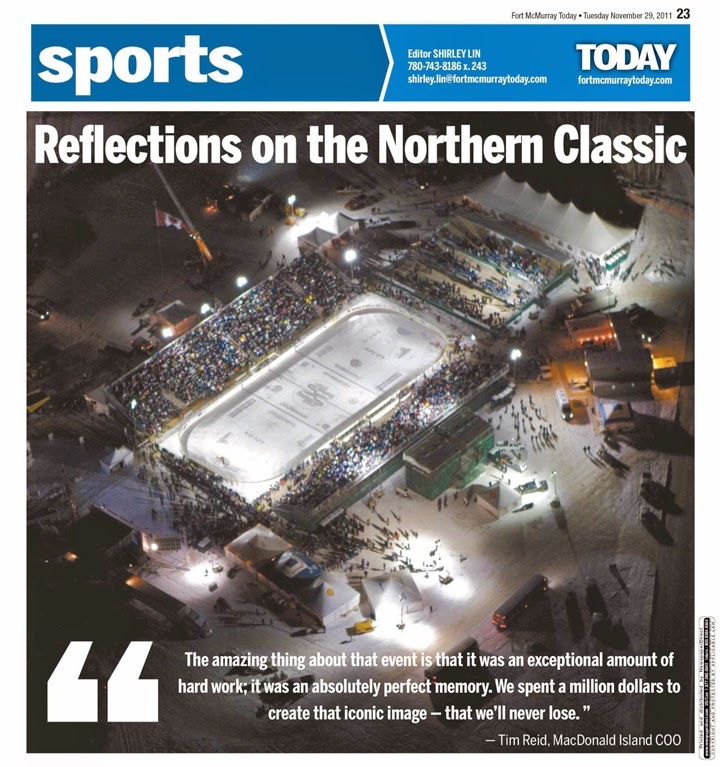 When he cast the vision of doing an outdoor junior hockey league game, he successfully convinced a room full of community leaders that we could pull it off, with only a couple of months to put it together and at an expected cost of almost a million dollars. 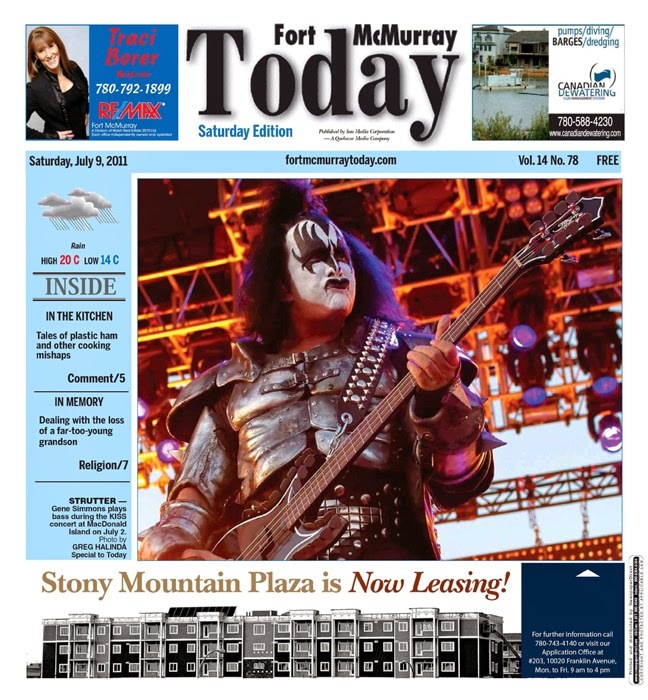 When the opportunity popped out of the sky to present KISS in Fort McMurray, he was a big piece of making it possible. As MacDonald Island grew, evolved, improved and flourished, his influence was there, in terms of the customer service approach, the user experience, and how the story was being told. I've enjoyed many a conversation with Tim over the years, sitting on his office sofa, admiring that big jar of candy on his desk, doing my best to resist the urge to grab one (or several). Thoughtful, empathic, knowledgeable, inspired, and at times, blunt, especially when the circumstance called for it, Tim always made thirty minutes or an hour feel like it was time well spent. I know there are dozens, if not hundreds, of people who would say the same thing. 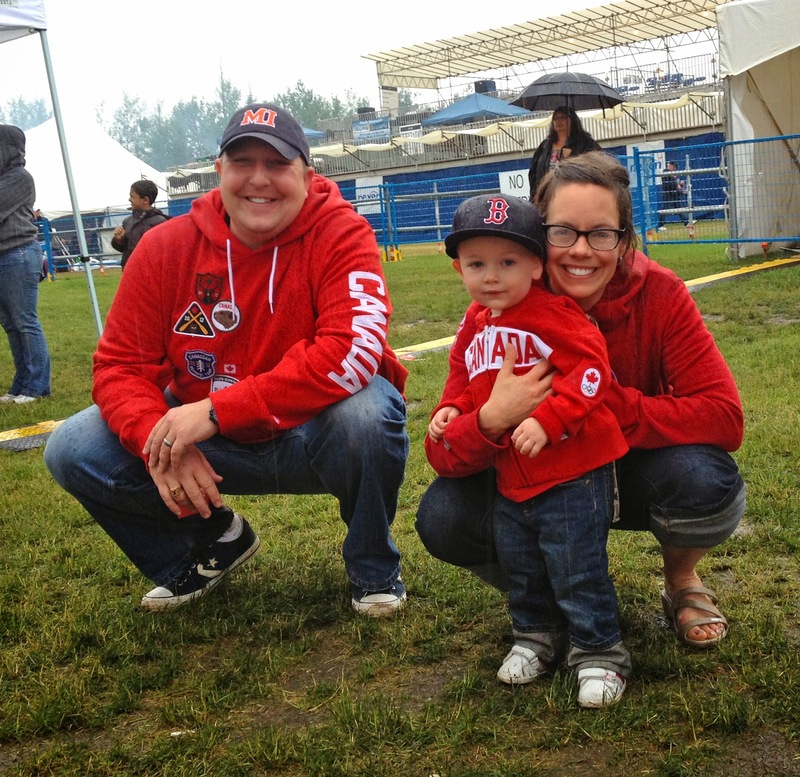 Tim and his beautiful family are leaving Fort McMurray, but I trust that in some ways they will never really leave. Their hearts are so huge, that a little piece of them will always be here, or, at the very least, a short 4.5 hour drive down the highway.